Comfort and activities for everyone. Stay in our cozy home that’s just minutes away from everything! We love to go that extra mile so you feel like you're at home. 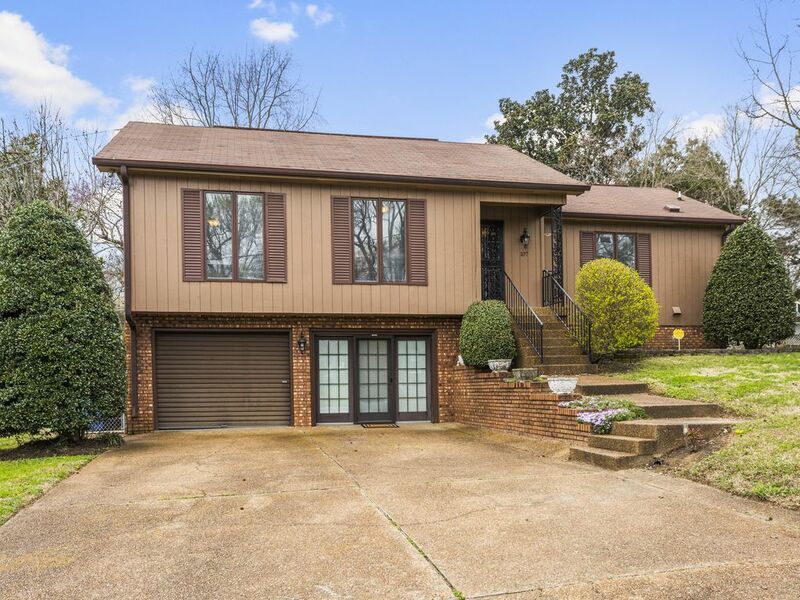 This lovely getaway is centrally located to Old Hickory and Percy Priest Lakes, Nashville's scenic greenway, Nashville Shores Waterpark, downtown, gorgeous Opryland Hotel and the infamous Grand Ole’ Opry, golf courses, Green Hills Mall, and Opry Mills. Loads to do for all tastes! This property is amazing for an all year round visit to Nashville. BEDROOMS: All bedrooms have hardwood floors and are fully furnished with linens provided. The master bedroom has a queen bed, chest of drawers, dresser w/mirror, 2 nightstands, and a walk-in closet with mirrored doors. The guest room has a queen bed, chest of drawers, nightstand and full-sized size closet. The third bedroom has two twin beds, a nightstand and a chest of drawers. BATHROOMS: The master bath has tile flooring, two sinks, a very large mirror and whirlpool garden tub and shower. The second bath has tile flooring and tub/shower combo. This very large glass enclosed room is located in the rear of the house. It is very private and cozy in its tranquil setting overlooking the tree-lined property It is temperature controlled making it perfect in every season. Our guests make a point of sharing their peaceful moments in this special space. KITCHEN: You have the luxury of a large kitchen and dining area featuring beautiful granite counter tops, stainless steel sink, and appliances. Along with a refrigerator and ice maker, dishwasher, stove, and microwave, we provide a coffee pot, pans, dishes, and utensils. LIVING AREA: An extremely comfortable leather sofa and love seat are waiting for you to relax and enjoy your stay. Coffee and end tables are provided, flat screen TV and Netflix, local stations and the Internet. Additionally, there are beautiful hardwood floors along with a gorgeous marble fireplace to help enhance your visit. OUTSIDE: The house sits on about half of an acre and has a fenced backyard and private drive. Comfort and activities for everyone. All in all, guaranteed enjoyment and relaxation. All day long. I have a background in design and love to entertain, cook, bake, and garden. As a self-proclaimed people pleaser, it makes me happy to know I can make people feel comfortable and enjoy a great stay. I've made sure the linens and bedding are going to help you get a good night sleep. I do for others what I would enjoy myself. Wake up to the sound of birds and enjoy your coffee in our very large, private and inviting sun porch. Our home is cozy, very clean, and inviting. A wonderful kind of seclusion. This means you can enjoy a truly quiet and homely atmosphere. You will get some much-needed rest, sleep deeper than ever before whilst being close to Nashville’s action. All in all, a quiet yet incredibly exclusive retreat. Our cozy, well-equipped home is only a 15-minute drive to downtown Nashville and in between 2 beautiful lakes. If you are here on Fridays, you can take advantage of the MUSIC CITY STAR, our very own train going back and forth from Nashville. If you want to enjoy nature, just head to Old Hickory Lake, or golf at Riverside Golf Center. You can visit our Old Hickory Art Center or Lakewood Theater for a live production. Extra linens and pillows are provided if you wish to use the sofas in addition to the beds. Two driveways offer ample space for parking if you decide to transport your boat. 2 sofas, coffee and side tables, fireplace for winter months, flat screen smart tv. Includes ice maker. Stocked with water for your arrival, condiments for cooking and milk for your morning coffee. Vented with a separate griddle for morning pancakes. Both drip coffee maker and awesome pod one cup maker. Freshly refrigerated water and condiments supplied spices, coffee, tea, sugars, pancake mix, and syrup. Fully stocked for your family with clean assorted size dishes. A charming updated kitchen with ample space for preparation and serving from our granite countertops. Fully stocked with coffeemakers, toaster, microwave, dishwasher. A cozy bistro table overlooks the backyard and patio. Flatscreen TV with Netflix via Roku. Board games, cards, current magazines, etc. Additional large patio off sun room. 15 minutes drive to downtown Nashville. Also very close to trails and lakes. We had a great tome and was very comfortable in the house!!! Very well equipped and pleasant house. House has an awesome sun room that was a great gathering place for our family. Everything needed for a nice stay is in the house. The fenced back yard is great for the dogs. The next door neighbors have dogs also. Unfortunately one of the toilets did not work during our stay but Judith did everything she could to accommodate for it. Due to it being a weekend and a holiday it wasn’t something that was able to be fixed but we didn’t even mind it because of how flawless everything else went! Great house and great host! Nice home. Very welcoming. Nice special touches. We enjoyed our stay. The home is an older home, but comfortable and very nicely appointed and charming, with a great sunroom. The owner makes it very welcoming with her special touches. Plenty of room. A tad bit of street noise, but not too bad. All in all it was a very nice experience. Would recommend. Excellent location for Nashville and perfect for pets. Thanks Judith and Ryan for all your welcoming gifts, those scones were the best! The fenced in yard was awesome and secure. The house was spacious and we'll appointmented. We will definitely stay again! Very nice and clean home! Easy to find too! All the conveniences and attractions of the city but no parking problems to worry about.